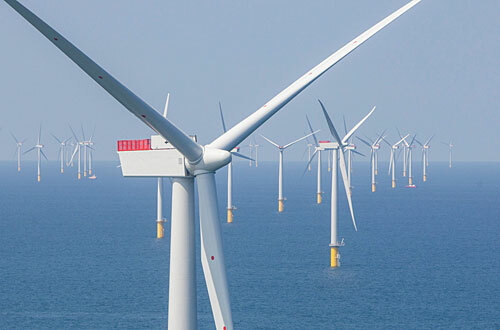 ScottishPower Renewables has chosen Nexans’ submarine cables to carry energy onshore from its new 714 MW East Anglia ONE offshore windfarm. Nexans will supply and install two 85 km 3-core submarine cables with embedded fibre optics, as well as accompanying accessories, for the wind farm in the North Sea. The contract is worth more than 180 million euros. The new wind farm, due to be finished in 2020, will be made of up 102 wind turbines with a capacity to power around 500,000 homes. The entire project is worth nearly €3 billion. East Anglia ONE will stimulate the East Anglia region and support thousands of skilled jobs. Nexans will type test, manufacture and then install the high voltage cables and accessories at the 300 km2 site. The turnkey contract includes a pre-installation survey and cable protection by burying. Delivery of the cables will begin in Summer 2018. ScottishPower Renewables is also in the early planning stages for two bigger wind farms in the same region: East Anglia TWO and East Anglia THREE.